M/V Aquaprosper, part of CTM's Supramax RSA pool. C Transport Maritime S.A.M is very happy to welcome Eastern Pacific Shipping back to the Supramax Revenue Sharing Agreement (RSA). 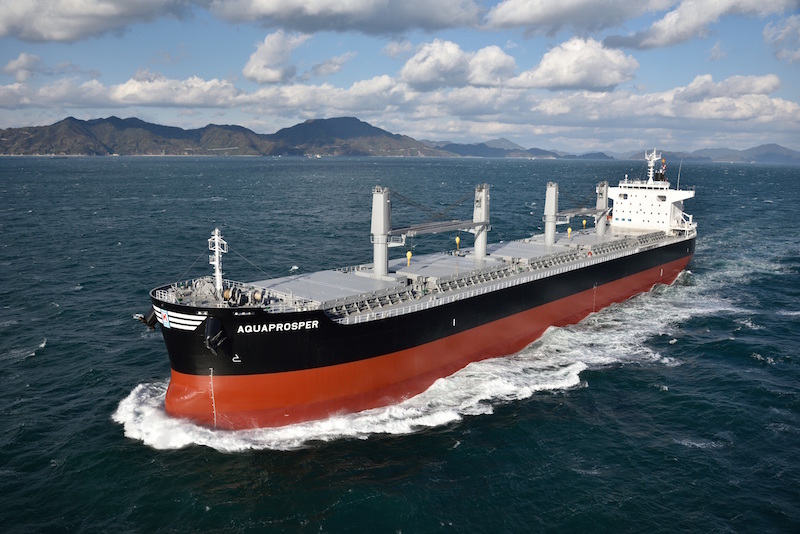 Eastern Pacific Shipping first joined the Supramax RSA for a year with one ship in June 2017 and now nine months after leaving they are back with their entire supramax fleet. Eastern Pacific Shipping re-joins adding their four supramax vessels to the RSA, the M/V Bridgegate built in 2010 with a capacity of 53,500 dwt, the M/V Daimongate built in 2017 with a capacity of 63,000 dwt, the M/V Devongate built in 2014 with a capacity of 61,200 dwt and the M/V Divinegate built in 2019 with a capacity of 61,000 dwt. The return of Eastern Pacific Shipping highlights the core strengths of the Supramax RSA – its flexibility (no minimum duration, only a 3 months exit notice), no withdrawal fees and zero daily administration fees (we only charge a 1.25% commission). We thank all our partners, clients and friends for making the RSA an exceptional and one-of-a-kind platform. The success of the Supramax RSA can be seen through its growth - from having five members and six vessels in 2013, to today, six years later, having seventeen members and sixty-five vessels. We have achieved this by delivering on the promises to our clients and by building strong relationships with charterers. These relationships are built upon the leading service we have provided to everyone we have done business with for the past 15 years.